According to Hindu mythology, there used to be a King of giants known as King Maya. He was married to an elf named Hema. Hema gave birth to a beautiful baby, but did not have any affection towards her baby. She abandoned her baby and went to heaven. King Maya loved his daughter very much and named her Mandodari. One day King Maya was roaming on earth with his beautiful daughter Mandodari. She was 15 by that time and was very beautiful. Ravana, the king of Lanka happened to meet King Maya along with his daughter. Both Ravana and Maya introduced themselves to each other. Ravana begged King Maya for Mandodari to be his wife. King Maya accepted the proposal of Ravana and soon Ravana got married to Mandodari. King Maya gave Ravana lot of deadly and divine weapons as gifts. Ravana had several wives, but Mandodar was his favorite wife. He loved her the most and had a special place for her in his heart. Mandodari was faithful to Ravana and always wished for his well being. She always tried to maintain Ravana on his virtuous path. She even used to protest humbly of his misdemeanor. But when Ravana abducted Sita, she tried to convince him that what he did was wrong and told him that Lord Rama not is not an ordinary person, but a supreme being. But Ravana didn’t listen to her and used to laugh away at her advice. According to ancient Hindu epic Ramayana, Maricha was a rakshasa (demon) who tried to interrupt the Yagna of Sage Vishwamitra. Lord Rama shot an arrow at him, which threw Maricha into a remote island. After this incident Maricha started to fear Rama. The very mention of name Rama used to make him scared. Maricha made a second appearance in Ramayana as a golden deer who helped Ravana, the king of Lanka to kidnap Sita. Ravana wanted to abduct Sita and for this purpose he took help of Maricha. Maricha took the form of a golden deer to lure Sita. When Sita saw this golden deer she asked Rama to catch it for her. Lord Rama knew that this deer was unnatural and could be potentially dangerous, but he could not refuse to his wife’s demand. He asked Lakshmana to look after Sita and left for hunting that golden deer. 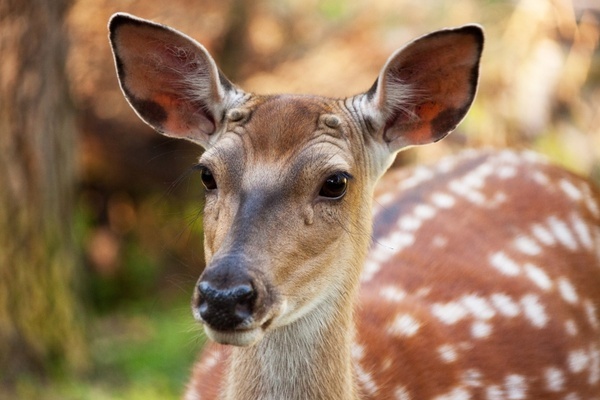 While on the pursuit of this deer, Rama came to a conclusion from its behavior that it is evil and unnatural. Lord Rama decides to kill this golden deer instead of capturing it alive. He shoots an arrow and kills it, but before dying the deer cries out for help in the voice of Rama to Lakshman and Sita.